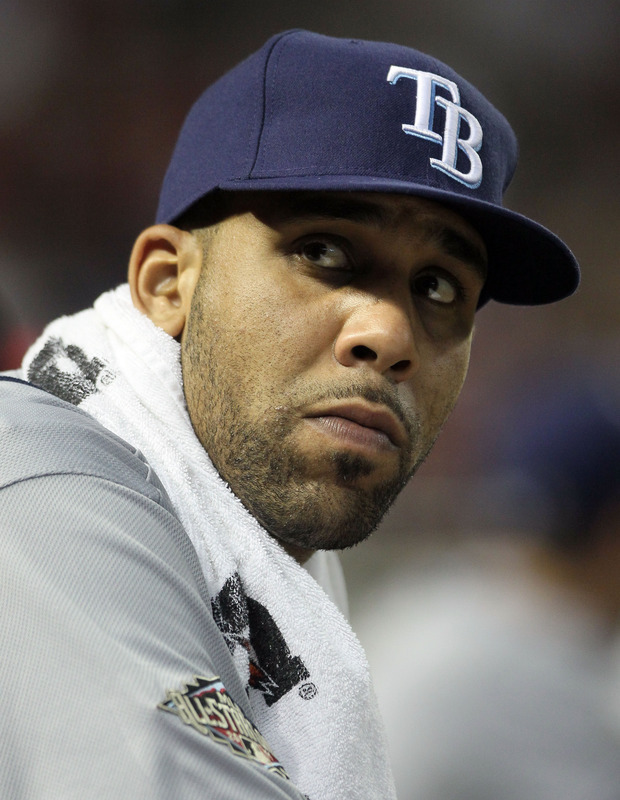 Do not want to douse even a smidgen of the fires that have blazed brightly recently within the Rays Republic as the the growing enthusiasm and enlightenment after Tampa Bay Rays southpaw starter David Price’s recent flame throwing display against the Toronto Blue Jays. But I would be guilty of deception if I didn’t remind the Rays Republic, this same action is going cost us. It really doesn’t seem possible that Price has been going to the Rays hill every 5 days for almost 3 full Major League Baseball seasons. It still seems like just yesterday he thrust his arms and glove into the Trop’s air celebrating a ALCS Game 7 victory over the troublesome Boston Red Sox. Has time, and Price’s abilities really flown by us that fast, and vaulted that high into the stratosphere? Considering Price just pulled a proverbial late Dog Days of Summer juicy rabbit out of his Rays cap during his uniform inspired 14 strikeout matinée performance, all Price’s agent and Rays front office could visualize on Sunday was a plethora of giant “$’s” piling up instead of the classic “K’s” around Tampa Bay. Believe me, I am not trying to downsize or minimized the importance of this feat of establishing a new Rays single game K mark, it just come at a bit of a….price. Most of us around the Rays Republic possibly have dug a deep hole in our subconscious to hide the fact that Price will wander into virgin territory this off season becoming first arbitration eligible for the first time This Winter Price could easily double his current $ 1 million dollar 2011 salary. Some “guesstimates” have his starting figure at $ 1.8 million and growing with each impressive outing. You could realistically say that Price is pitching his way right now towards either a lucrative possible multi-year situation with Rays management somewhat like the Rays payroll team friendly contract guidelines that fellow Rays starter and graybeard James Shields signed a few years ago. Even if Price were to command a larger starting point to a multi-seasonal, possibly $ 2 for 2012 then escalating, it would be more payroll friendly than awaiting yearly arbitration figures to be exchanged and possibly going to a hearing and having the Rays come out on the losing end. I know we all collectively hope the writing will be on the wall soon to shadow a possible long-term Price love fest. Maybe the Rays are secretly whispering sweet nothings, or sliding little Fourth Floor Conference Room Post-It notes already with respectable dollar figures to Price’s representation as we speak. I can see the Rays wanting to adamantly keep Price’s mind and talent between that 60 feet 6 inch tunnel until the season is completed, with no interruption, and no tangled webs. You have to believe that the ever tightening purse strings of the Rays bankroll from here on out this Winter will be stretched so far Ben Franklin will be screaming from the pain. With the likes of Price, B J Upton, Andy Sonnantine, J P Howell and Joel Peralta all hitting arbitration this Winter, money allocated might be tighter than 2011, possibly even reduced a bag or two of Franklin’s. But Price is the big fuzzy prize that needs to be either compensated with a nice salary escalation, or his escalating arbitration amount could possibly transform into a yearly bloody dagger thrust deeply into the Rays payroll’s heart. Of the 5 names above, Price is the one that will possibly get the lion’s share of the arbitration prize, with Upton all but assured publicly being granted his walking papers this Winter by so many outside Rays prognosticators. Even with so many hurlers knocking on the Rays doors to get a Major League chance from the Rays Triple-A Durham Bulls corral, Price is still the Rays King of the Hill, their Ace par excellent, The Rays promotional focal point for many years. Price is here to stay, and that will come with… a price. Believe me, I am one of those who think that the Los Angeles Dodgers discussions with their own ace Clayton Kershaw will have a direct correlation with what happens with Price this Winter. Kershaw’s “secret covert” contract extension could set the early bar as to what extent or how wide the Rays will have to open their own pocketbook. The Dodger Blue have been spoiled this season by the emergence of Kershaw, and his pay day is also coming this Winter. In the end, Price deserves to be rewarded. He has been a valuable and valiant member of this Rays rotation and has plenty of more years and feat still hidden within the cells of that magical left arm. With every feat however his salary balloons, the Rays chances of retaining Price when he finally hits that top plateau increases. Price is magical both on and off the field. Be it community events, signings or even a small chat by the walls before a Sunday contest. 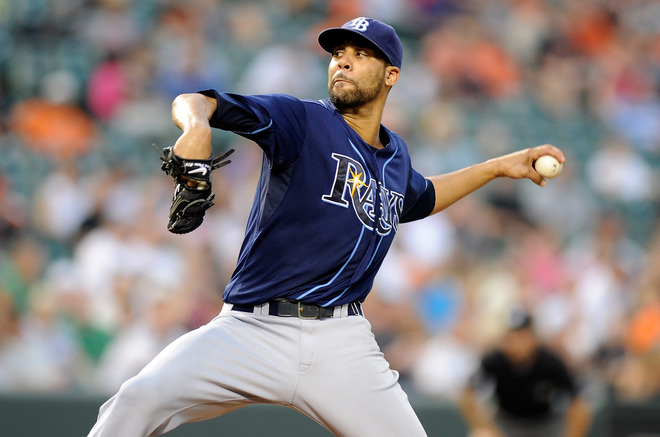 Price is proving every 5 days his ascending worth and value to this Rays franchise. Soon it will be the Rays time to show Price a balance sheet to illustrate their own projections of his worth through their own eyes. Hopefully they will not see the “$’s”, but will see his heart bleeds Rays Carolina blue and reward him for his sweat, tears and occasional sunflower seed showers. I love the smell in the morning of the August Trade Waiver drama. 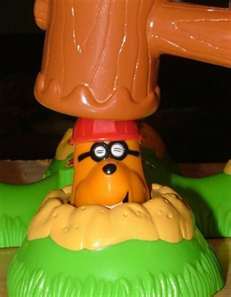 It is simply surprising to see who get through this seasonal “Whack-A -Mole” fandango without a single waiver claim, and those who find themselves popped on the noggin being smacked back to the reality of possibly leaving their present squad. It sometimes seem to work exactly like that classic kid’s arcade game. Every MLB team has their own mallet that they can either whack or smack their collective desired player (mole) square on the head and try and claim them. But the wild part is their present team can pull them back down into the safety of their own 25-man roster and back off the waiver wire with not a hint of their real intentions. It is clear arcade gamesmanship at it best. 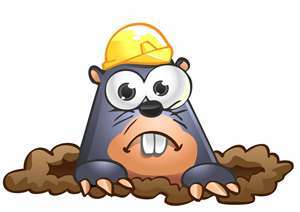 The first action of a team posting it player upon the waiver wire is exactly like the mole poking his head out of the hole. Up for all 29 other MLB head honchos to see and possibly mangle for their own team. But here is where it gets really interesting, the team that posts the player has all the advantages, not the person manning the heavy mallet. You would think it would be the opposite, but then you would be sorely wrong. Even thought it might be a nice therapeutic action to pop a veteran or budding MLB player on the head, he could without warning be pulled back, offered safety again without his claiming club getting a viable chance to claim their prize. Not even a slew of tickets would emerge from the machine, sometimes this game is all or nothing. That is where the real gamesmanship comes into play. Sure you could smack the daylights out of a player like Tampa Bay Rays pitcher James Shields when his head pops out of the machine, but the Rays front office could be also baiting you for a Winter discussion and pull Shields back into the comfort of the Rays fold. Suddenly you are left holding the bloody mallet with all to see you covet Shields. Most of the time this scenario is the end result. Teams place the heads of their viable commodities firmly in the game to see who wants to take a whack at acquiring them, or has more than a passing interest. Some like Rays OF/DH Johnny Damon got completely through the game without a single thump upon the noggin, but still there might be a hidden want for his services. It is almost like a visual game where others see what you are craving, wanting to thump into submission and take back to your roster as a prize. Interesting enough, even if you land one hard and heavy upon the exposed head of Shield’s, the Rays can pull him back to safety and he is no longer an exposed asset for the rest of the MLB to smash and dash. Shields is not the only Rays player to be pulled back into his team’s safe haven with at least one square hit to his cap region. 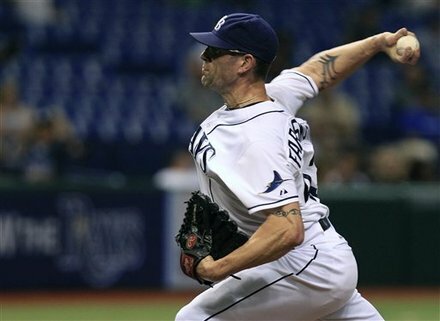 The Rays Republic have even seen their closer Kyle Farnsworth get a firm planting upon his frontal lobe, but the Rays pulled him back to the comfort of the Bullpen. 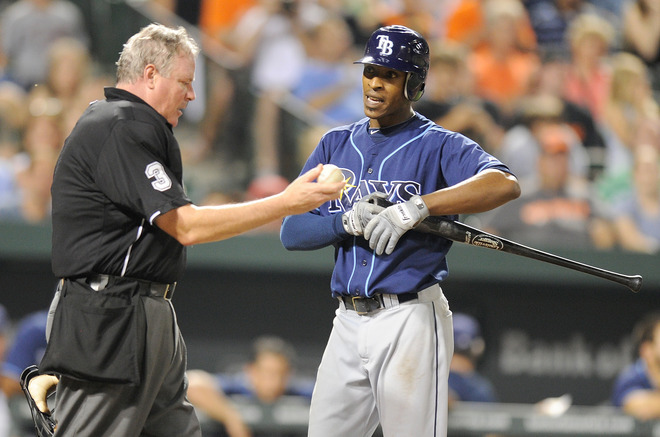 B J Upton has been the latest Ray to receive a compound headache and a possible plane ticket out of Tampa Bay. The Rays can either discuss a trade possibility, or pull Upton back into the Rays confines safe until at least the Winter Hot Stove season. The Upton talks or balks will be interesting. It will showcase either that Upton is a viable part of the Rays current post season march, or Desmond Jennings or Sam Fuld have started to erase the “Upton factor” from the Rays game plan. More intriguing is the firm possibility that Upton was claimed by an American League team that has a good relationship via the trade with Rays VP of Baseball Operations Andrew Friedman and could facilitate an Upton move with a few healthy and young and budding MLB relief options in their present fold. Should be a few interesting days until either the Rays pull Upton back to the safe confines, or send him to possibly play with the seagulls nightly up at a vista on the Great Lakes. During this waiver period the Rays will pop out many of the Rays rostered minions hoping to find the right suitor, trade situation and possibly a future piece of the Rays always unfolding puzzle. This is not a game about “likes” or “dislikes”, it is still about a game where the person with the most toys win. 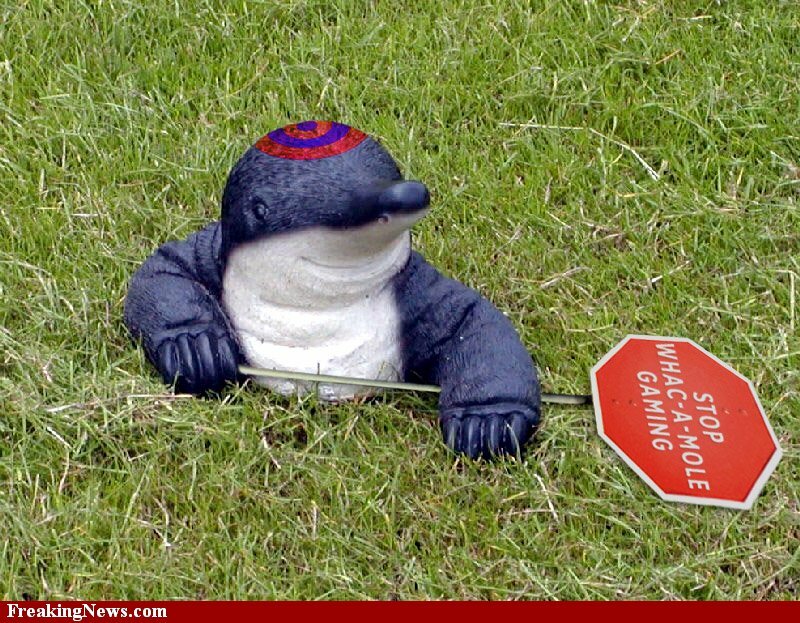 And to win in this business, some times you got to whack a few moles. Before Tampa Bay had a team, I was an Orioles fan. I know that might be a shock to some considering Atlanta is closer than Baltimore to Tampa Bay, but I fell in love with this team even before they held their Spring Trainings in St. Petersburg. It was a utter shock today to hear of the passing of O’s pitching great Mike Flanagan. 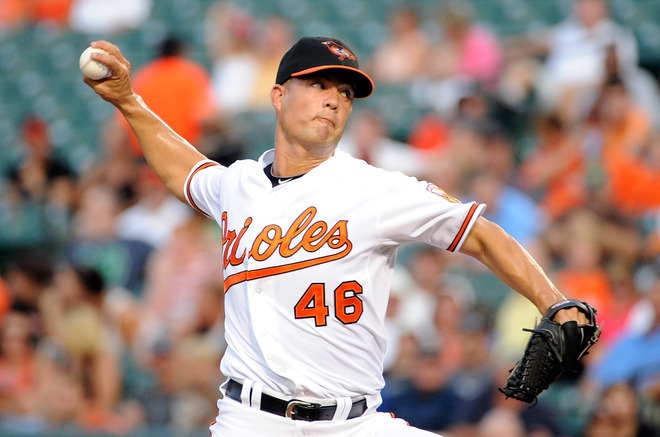 In Baltimore today there began a buzz as to whether current O’s starter Jeremy Guthrie will change his number before the next Baltimore contest as a visual homage to the Oriole Hall of Fame member. 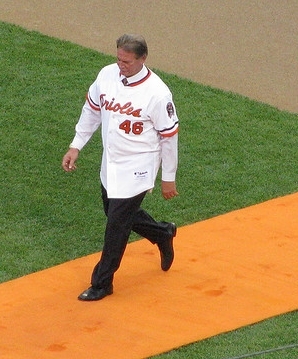 Some have speculated that Guthrie will change his number out of respect for the O’s heritage that Flanagan embodies, while others feel it might be a living monument and homage to Flanagan if Guthrie still wore the 46. This brings about an interesting scenario that the Tampa Bay Rays have not encountered before. With Wade Bogg’s number already retired, this same scenario would not play out of something happened to the Rays early legend. Now I am not predicting, or even trying to be glib here, but what if something happened to someone who has been vital to the Rays cause, would we want the number to be honored, or worn as a visual testament to their past glories. There are two sides to this coin, and neither is totally foreign or void from the legacy of this game. Every year the entire MLB family pays homage to Jackie Robinson on his special day, with individuals and teams collectively wearing his 42 for that day. Only one player, New York Yankee RP Mariano Rivera wears it daily more as a reminder of Robinson’s greatness and inspiration than out of defiance. Patches adorn the shoulder of many teams this season to show their love, respect and admiration of fallen baseball legends and heroes who have taken that last jog around the base paths and ascended above. We have seen immortals like Bob Feller and Duke Snider leave us in 2011, their legacy proudly adorns their former teams uniforms nightly. 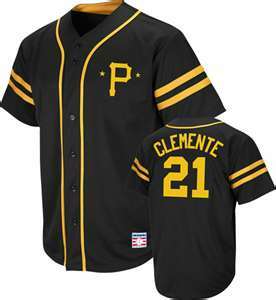 Recently there was a hard and heated debate in Pittsburgh when Pirates young outfielder Jose Tabata wanted to wear Roberto Clemente’s number on his birthday as a celebration of his life, not a defamation of his legacy. The event never transpired beyond the talking stage, but could there possibly be a reason in the future to condone such actions, relive the past with glory and remembrance of feats of marvel. With some lofty names of our baseball past, this thought of desecration by wearing their uniform numbers will always be met with shock and vicious candor. Some names do warrant such immortal reverence and retirement for they were the builders of this game and should forever have that honor. This is a touchy emotional issue that each of us has to decide for ourselves the answer. I am not trying to be glib here, but if something happened to a member of the Rays family, past or present, would I want their number stricken from the Rays rolls. This is a hard decision, and one I am glad we have not had to make so far in this team’s history. But in all honesty, it is coming. 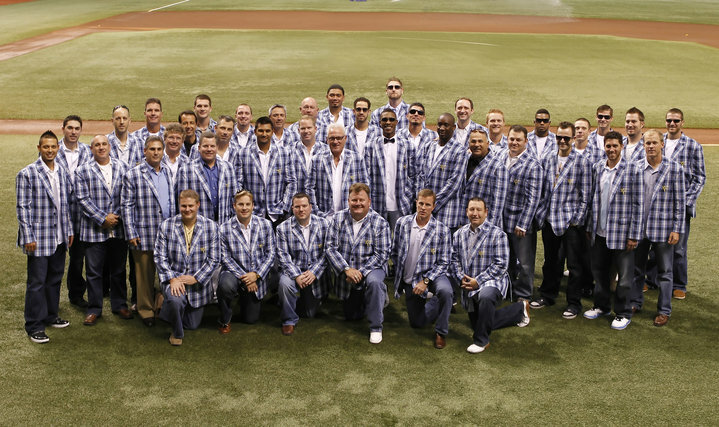 With this team gaining National celebrity and even becoming noticed far and wide for their past and present, one day we will all have to answer this same question in regards to a fallen Rays player. I propose this, let it be decided by the family. Let that emotional decision and visual memory be forged by the loved ones left behind. Some would embrace a star prospect wearing the number, others would want it sheltered and hidden until the pain subsides. I do not envy Guthrie in this endeavor, but I do wish him guidance and wisdom in this process. Myself, I would surrender the number so it can be displayed and cherished for the rest of 2011, then let the powers that be decide its fate before the Spring of 2012. For some it is just a number, for others it is a symbol of more than just thread and material. As this issue is being debated far and wide throughout the Baltimore region I hope people here in St. Petersburg remember Flanagan for his time spent in our community. 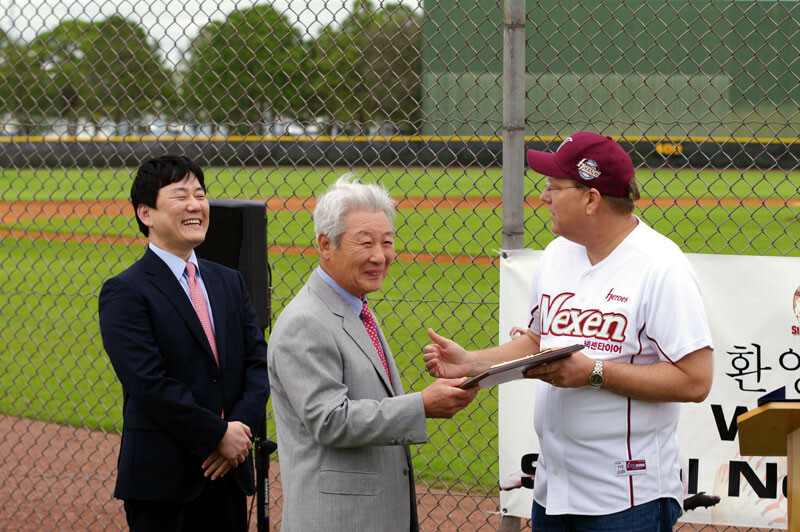 The Orioles have long since left St. Petersburg, currently Spring residents in the Tampa Bay community of Sarasota. No matter what Guthrie decides over the next few days, I know it will be a thought out and emotional decision. Do you wear a person’s number as a living legacy of their life and career, or surrender it as a symbol of remembrance and homage. This decision will not come easy, and it will not come without opinions either way. It is a incredibly complex and pointed move to be made by one person that will effect so many. It is always a shame to see one of our childhood heroes, and men who have graced the mound finally leave us, even without a chance to say farewell. But that is one thing I have always loved about this game. It embraces and celebrates its heroes, past and present with a lusty zeal for life. Tampa Bay has never had to make this decision, but hopefully when the day comes this Rays franchise will cherish the fates, actions and memory of their fallen. Godspeed Flanny, I know I am going to miss you. He is one of those player who has been the hero and the scapegoat, sometimes within the same game. No matter what your opinion of Tampa Bay Rays Centerfielder B J Upton, this injury hurts to the core of the Rays Republic. Upton has been a Rays barometer over his last few seasons. As B J climbs, so has his Rays team. 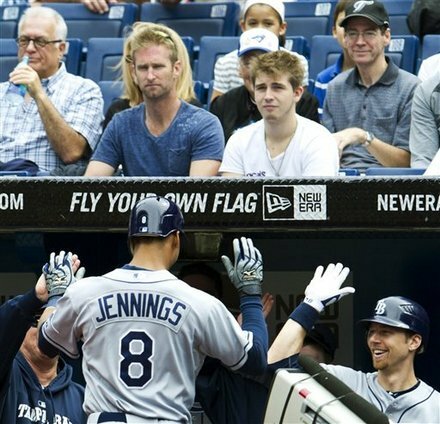 As B J matured and evolved in his MLB skin both in the field and at the plate, his Rays young teammates have also grown to become a competitive force and have firmly rallied around the one Rays player people love to point fingers towards. Be it a mental lapse on the base paths, or a argument with the Home Plate Umpire, Upton has always always landed straight into the cross-hairs of critics and haters. Some consider it arrogance, most know it is a high degree of competitiveness that Upton only sweats between the lines. No matter what is being vocalized, even shouted from the stands, Upton has done his thing, moved at his own pace and provided moments we will never forget. Every team has a guy fans and observers like to focus upon as a linchpin of how a team will perform, of who is critical to a win or loss, possibly rattling them would secure a victory. 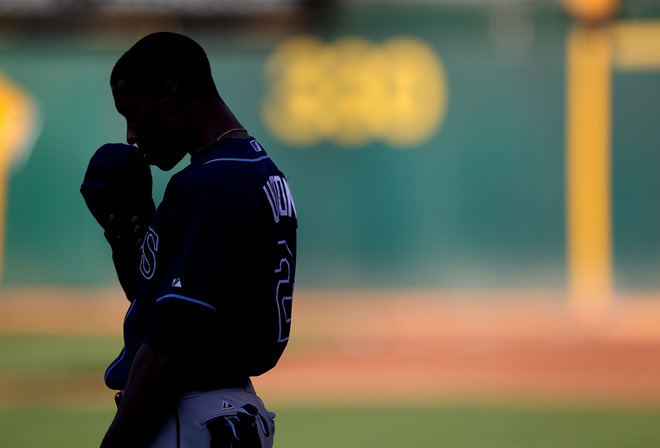 Upton has been the guy teams have tried to take apart, sometimes succeeding with vengeance. Upton seemed to be in the perfect position to take in the apparent double hit deeply into the CF/RF corner by former Ray/Twin, newly minted Tiger OF Delmon Young, then suddenly a padded wall had a different agenda. The way Upton glided over from his Centerfield spot last night, I had the impulse to want to scream, warn him the orange tinted warning track coming up faster than he realized, but like viewing a play via a slow-motion camera, quickly I saw Upton realize too late his speed versus wall was a recipe for disaster. The sound might not have been deafening, but within a second, you could of heard a pin drop around Tropicana Field. Upton laid like a rag doll on the AstroTurf surface, immediately Rays Head Trainer Ron Porterfield sprinted to his side with Rightfielder Matt Joyce trying to comfort Upton. As Porterfield attended to Upton I heard a wild range of comments in the stands. 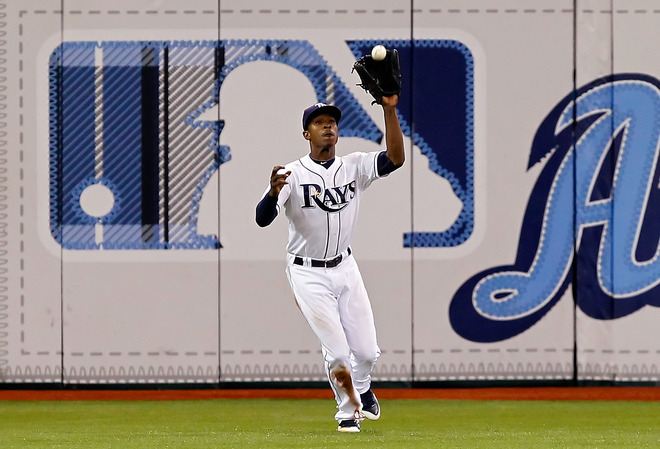 Some were glad for the injury so future Rays outfielders like Sam Fuld and Desmond Jennings will get a chance to strut their stuff in Centerfield. Others worried that a Ray who has been so instrumental in this odd season competitive rebirth might be sidelined until September, effectively hurting the Rays machine. Polarizing opposite statements and opinions rained down in the stands like the showers upon the Trop’s Teflon. No matter if you love, like or even despise Upton, this injury is going to hurt deeply. Upton has transformed himself out of the view of the fans in the Rays Clubhouse as a true leader, has done some foolish things to promote energy and confidence and has been met by spite and misguided comments. Upton has been the one constant in an ever changing Rays format for a long time. Knowing the caution Maddon takes with his players in the later stages of the season, Upton may sit a few days, possibly even a week to make sure the shoulder that has been held high and helped carry this Rays team is healed and 100 percent. Sure Fuld and Jennings will get multiple chances to place their names in the Centerfield mix for Spring 2012, but as long as Upton is a Ray, it is his territory. The injury might actually pay dividends for the Rays not in Upton’s absence, but to give the Rays Centerfielder a chance to relax, refocus and re-energize going down the stretch. Upton held a horrific .181 batting average at home coming into last night’s game. His injury might give him ample time to heal more than just his shoulder. 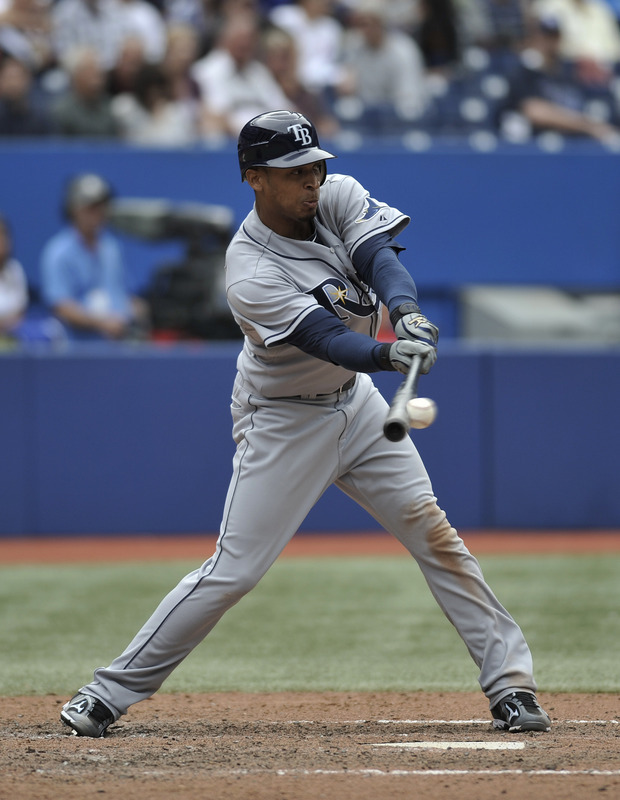 Upton will be a key ingredient if the Rays are to again stir the pot and get a chance to play into October. A healthy Upton both physically and mentally could be just the trick to again being bathe in champagne. You either love him, or hate him, but you got to respect that Upton doesn’t disrespect the game or its nuances. Some find him cocky arrogant, even to the point of nausea, but want him on the base paths or in Centerfield if the game is on the line. 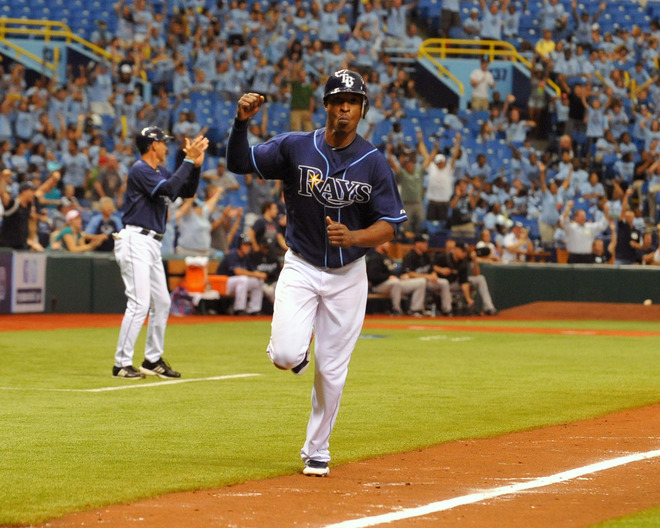 Hopefully before Upton leaves, possibly through free agency after the 2012 season, everyone in the Rays Republic will see just how much sweat, blood and emotion this guy has spilled on the Trop’s turf. As Upton laid on the turf last night I thought instantly of what this team loses by his absence, I know others around me were thinking just the opposite. Guess that is B J ‘s Rays legacy in a nutshell. This Is Just “Joe Being Joe”, and I Love It! The comical and dramatic sight we all saw on the Rays post game live on Sunday is why I am so enamored with Rays Manager Joe Maddon. Even the thought of paying a post game homage to his friend and sports buddy Tampa Bay Buccaneer Coach Raheem Morris was a stroke of slapstick genius. Added to the madness was a spirited dash into camera view of Rays Bench Coach Dave Martinez pushing his way in with a Gatorade bottle for Maddon while Maddon used his game day line-up card covering his mouth like an NFL Coach on the sideline. This guy seriously gets it. Sure some have made fun of Maddon in the past when he has spouted a $ 20 word when a .50 cent derivative would have sufficed, they have even made a bit of a mockery of his choice of spectacles, but this guy can see the soul of his team and adjust on the fly like no one else in Major League Baseball. 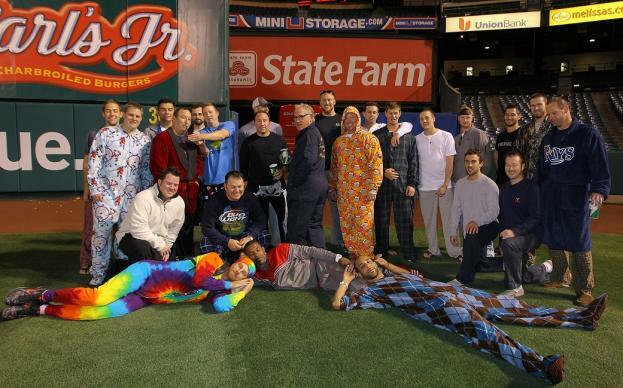 Even his themed road trips that were first mocked by some around MLB as a publicity stunt has shown that the team has come to enjoy it just as much as Maddon. From the John Cash inspired all-black trip, to the pajama party plane parade, Maddon has taken this young crew that has career paths going in 4-different directions at times and each steps in unison with the others now. 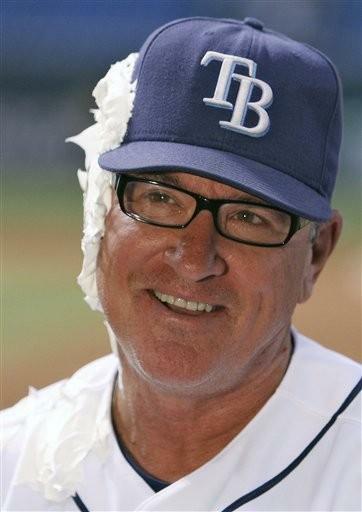 Name me another MLB Manager who has been hit with a shaving cream pie by his team out of respect, not retaliation and has laughed harder about it then anyone. Maddon is truly a master MLB magician. What other better example of Maddon switching gears with precision that his recent proclamation that he doesn’t want player showing up to the home games before the 3 pm clock chimes. So what if the Rays only have 3 more wins on the road than at home this season, Maddon wants his team to take a step back relax before the stress and pressure of the coming weeks produces mistakes, errors and a possible chance to catch either the Yankees or Red Sox. From letting his players right now set their Tropicana Field arrival times accustom with their usual road routines, it produces as Maddon states, “players ready to play at 7:10 instead of 3:10”. His outside the collective MLB box might again get his team an emotional and mental edge with the season grinding to that thin teetering point of contending or pretending. Maddon will either be marked a hero or a zero for this action, but so far his team has shown some remarkable resounding victories in a stadium that used to dog them earlier in the season. From 2007-2010 any team heading into the Trop thought they could take 1 games, maybe even steal a second, but sweeping the Rays at home was not a viable option. 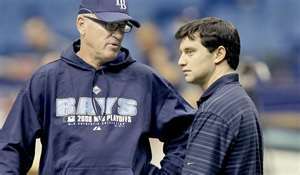 The Rays first Manager Larry Rothchild was thought to be the guy to help establish a pitching mode and stability to this team while the Rays offense found its niche. Hal McRae was said to be the conductor/ Manager who was to bring the Rays field players to their next level. Former Rays Manager Lou Piniella was thought to be the dominant Manager who taught these guys the art of winning and being a professional. Maddon was the choice to take the young Rays players to that next level of preforming like professionals, being accountable for your actions and letting them play with their hearts as well as their muscles. 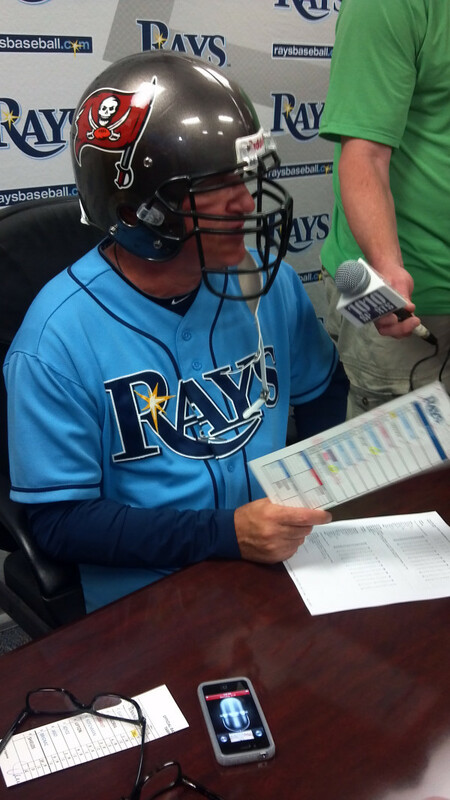 Maddon was the perfect final piece to the Rays evolution. He is a player Manager, and he is a stickler for playing the game within the rules and guidelines set between the lines. But off the field, behind that Rays Carolina Blue curtain, he is the wizard at the controls. So what if he wears a football helmet to a Press Conference, as long as this team is winning, gaining ground on their foes and showing they give 110%, a little chuckle and dramatic effect is fine with me…..Just no Carmen Miranda headdress…please. Most of the Rays Republic remembers when Tampa Bay Rays outfielder Randy Winn was traded basically so the team could sign former Mariner’s Manager Lou Piniella. 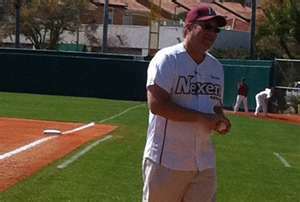 Could we be possibly heading towards the same scenario with Vice President of Baseball Operations Andrew Friedman? It is way to early in the Chicago Cubs General Manager outreach process to venture solely into this scenario, but it does warrant at least a peek. The Cubs did get an up front and personal shot at the cunning and creative thinking of Friedman and his construction of a trade in the 2011 Winter Matt Garza deal. What is amazing is the perception still lies in the hearts of some on the North side of Chicago that the Cubs got the best end of that deal. Others, like the Rays Republic know that Friedman pulled another beautiful rabbit out of his hat and has already gotten a great return on his swap. Think about it for a moment. Sure Chi-town got the ever scowling Garza and his bag of tricks, but Friedman got a newfound Legend (Fuld). Friedman only has to look at the box score of his Triple-A team, the Durham Bulls to see OF Fernando Perez, another component of the Cubs trade back in the Rays system after being released by Chicago. People around Tampa Bay are getting a bit worried that if Friedman does take a meeting with the deep-pocketed Ricketts clan. Amazing enough he only has to sit down next to his own Senior Advisor Don Zimmer who took command in Cubs stripes to hear about the advantages and struggles he would have with such a move Northward. 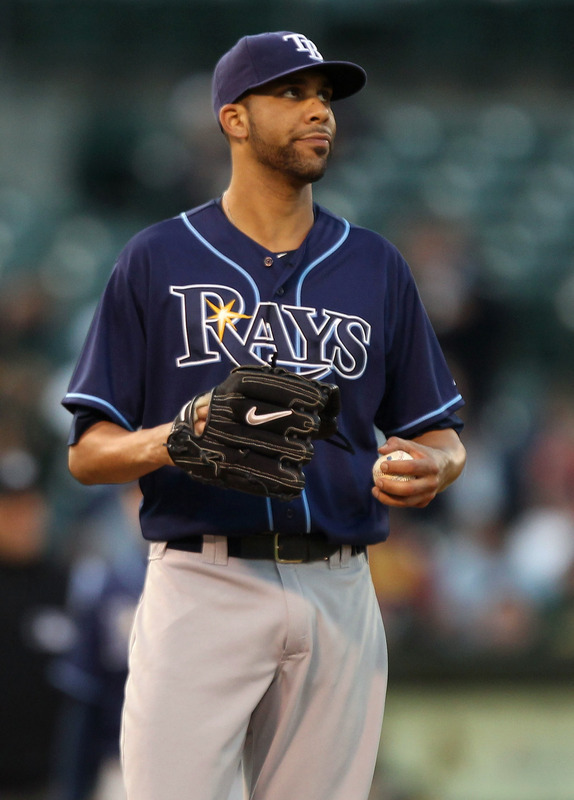 But don’t fret yet Rays Republic, Friedman seems to love the challenge of the Rays opportunity. But there is also a once in a lifetime challenge of helping structure and realize another World Series title in a town that yearns, begs, pleads for another chance at glory. Knowing Friedman he would have the Cubs institute a “Goat Day” where goats got in FREE just as a humorous and innovative way to ease the burden of the long held curse of Wrigley. 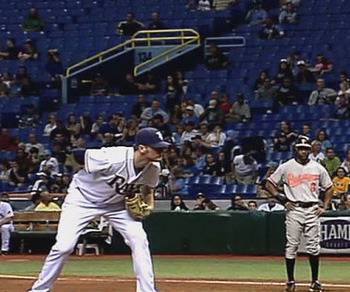 You know the Rays and Friedman are going to be confronted with this situation. Even Garza, who was traded by Friedman is shouting his name to the Heavens as a key component of the Rays climb from the cellar to contenders in such a short time span. We know the Boston Red Sox will do everything in their power to block a chance of Theo Epstein even texting the Cubs organization. With a tongue-in-cheek comment a few days ago from someone that the Cubs want to build a Red Sox Nation in the West, battle lines and formations both by the Boston fans and front office went up fast to secure any chance of a Epstein defection or seduction. Friedman has one of the most innovative minds since Oakland A’s GM Billy Beane. 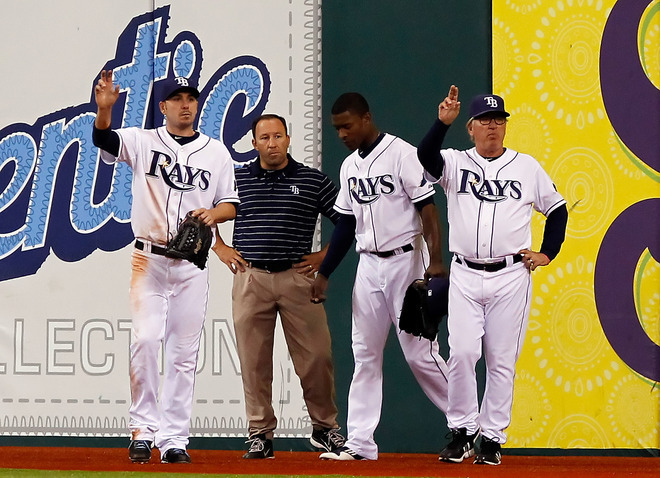 The “Rays Way” has been a perfect model of how to build a competitive unit with a minimalistic budget. 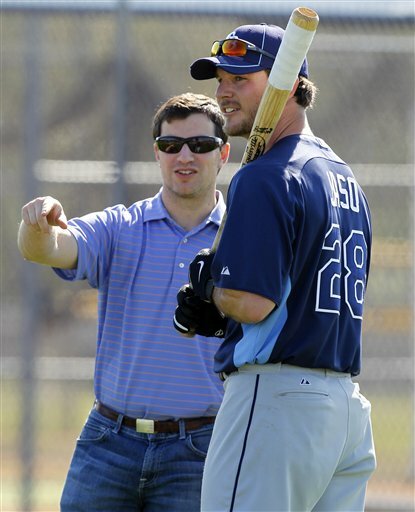 Friedman’s team is responsible for one of the best scouting units and farm systems in baseball. Even if Friedman isn’t submerged in the day-to-day heartbeat of this system, he gets the glowing comments by association. How ironic would it be if Friedman did get a chance to go to the friendly ivy-lined confines of Wrigley Field. Would he be treated like a King, possibly warbling a rendition of “Take Me Out to the Ballgame” from that heralded spot in the booth? Would he be given the key to the city? Possibly get a sandwich named after him at one of the area’s best bistros? Or maybe he could get a coveted cameo in the “Ferris Bueller” remake? That is what happens to those who fall into the arms of the Cubs faithful, they feel the warmth. What would be more of a challenge than to resurrect a team that has not won a World Series in a Century. Take a team steeped in such deep tradition and in-bred into the town’s psyche and provide a vibe, a final piece of the puzzle to finally eliminate that faithful Cub phrase, “Maybe next year”. 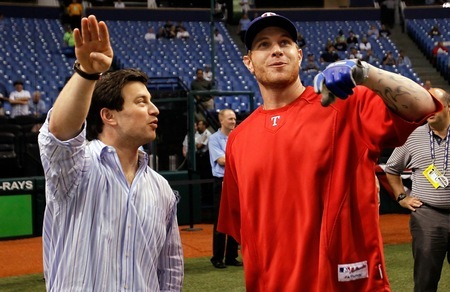 But do not fret Rays Republic, Friedman is only being mesmerized by the snake charmer. There is no apparent movement of feet or mind to the Chi-town skyline, but it will happen. The city will open itself to Friedman, throw on it’s Sunday best to try and persuade the Rays boy genius to take up stakes and move to this vista. But even as the traditions and advantages of a Chicago move are flowing in his mind as soul, Friedman also knows he has a little unfinished business back here in Tampa Bay. You know he wants to be a part of the legacy of this franchise. His footprints already dot the landscape, but there is one prize still missing. It is not a stadium deal, or even a full stadium for 25 % of the home games, it is hoisting that last trophy into the air with a franchise he helped get off life support and finally get to the threshold of that dream. Friedman has done so much here that possibly he could realistically say he has done is job and ready to move on to another project. Many here in Tampa Bay know that one day this scenario will play out, that Friedman will leave, retire or find a new rebuilding project that he finds intriguing. But if it did materialize that Friedman is to pick up stakes and take his show on the road to Chicago, you know he will leave with a bang, possibly in one of those trademark Friedman trades to the Cubs. Hey Friedman has done more in the past with far less…It could happen. I am getting sick and tired of the National media talking heads trashing our region. Just because your own backyards or city vistas have a sparkling outlook in reference to new jobs and seeing their collective unemployment situation sliding downward, some parts of this great country have not had your “luck”. Take my home state of Florida where both the Florida Marlin and the Tampa Bay Rays have played in front of more empty orange and blue seats than those filled with fans who buy concessions and cheer. It is heartbreaking to see it, but there is a valid reason for it, and the media juggernauts do not care to tell the real story. It is too depressing. It is easier to rake and drag this fan base over the coals than look beyond the Trop for an answer. There is a very valid reason for those empty seats. I can tell you from personal experience that even if the Florida unemployment rate has stayed steady at 10.7 percent the last two months, I am one of those who got pushed off the recovery truck and has seen myself fall farther and farther off the economic grid. I try daily to rid myself of this fiscal flu, and a cure is nowhere in sight. But the media doesn’t want to bring the truth to the ballpark. The rest of the United States combined is currently sitting at around a 9.1 percent unemployment rate. You ready for a real shocker, the “supposed” economic recovery has not hit this region as many of the usual tourists and travelers have decided to either forgo their yearly adventures, or can’t even attempt such an extravagance. That makes employers cut back, lay-off and reduce their capital outlays and manpower, further pushing the Tampa Bay faithful to their couches instead of to the stadium. After saying that, maybe it is not such a shocker that the Tampa Bay region is currently sitting farther down the economic ladder than the rest of the country over the Summer. This is the time of the year that this region makes a boatload of its money through hotels, food and even recreational services. But this years the crowds stayed home, the beaches are not empty, but the unemployed Tampa Bay person has a great tan this year. For July, this area of the state of Florida is mired in a 11.1 percent unemployment whirlpool, and there is no lifeguard or program or project in sight to pull us from the swirling waters. Tampa Bay is going down for the third time and all the National media does is crack harsh jokes or innuendo. There is no bright and bubbly plan coming out our state capital, and there definitely is no localized effort to help some of us realize our “economical potential” and rise from our financial ashes. I know the rest of this great Nation is also swirling and confused by this fiasco, but why is there no compassion? Why is there no understanding by those in the Press Box or booths who makes a healthy paycheck and stay and travel for FREE. 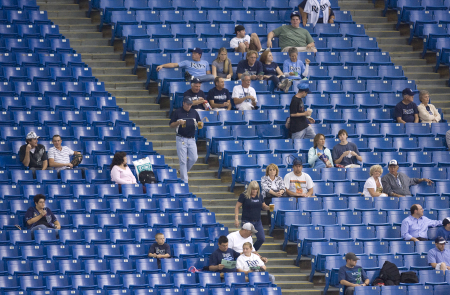 So the St. Petersburg Times has made sure to push the Rays Republic beneath the water’s surface again and again as they nightly make sure to type a blog post about the Rays attendance figures. They make sure to keep pushing our heads under instead of offering a solution, or being a bit empathetic. There is a different kind of “support” going on here. It is wrapped around the survival of ourselves and our families, with local disposable incomes at an all time low, attending a baseball game is taking a backseat to rent, food and utilities. 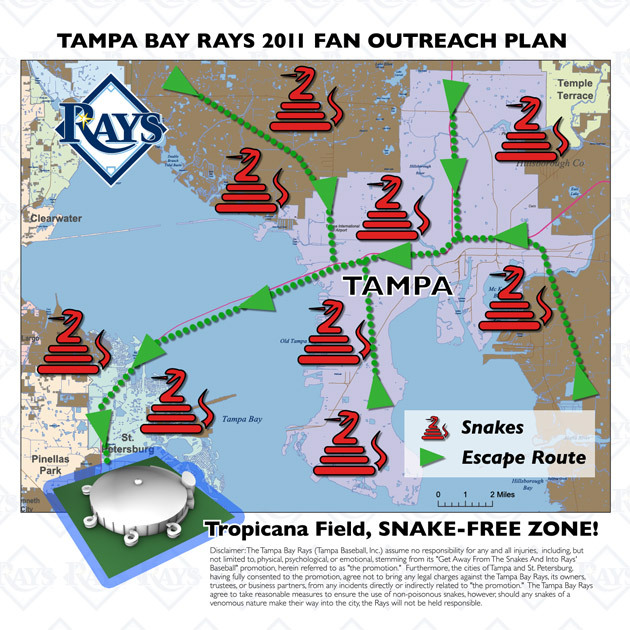 I’m sorry the Rays do not have a caravan of fans flocking into Tropicana Field with dollar bills pouring out of their pockets and an eagerness to spend beyond their means. I am sorry that I myself have only attended a handful of game this season where in the past (2009-10), I attended 161 of their 162 total home games in that time frame. My “support” had to go to living my life and providing a shelter and food for myself. This season I had to take a huge step back and make a earnest gut check decision. I had to eliminate the Rays from my yearly and weekly budget. Poverty is rough, it makes you decide things you never imagined possible, especially not being able to cheer and see the team you had see grow before your eyes for 13 seasons play their exciting brand of baseball. I think about this decision every day. There are tons of other people in this same financial boat in 2011 who had to make the same decision or make drastic cutbacks, and it has nothing to do with their support of the team. I think it is a huge farce that this charade has been allowed to go no so long without someone shouting from the Trop’s cupola. This region needs a financial hug, but we are not alone. So many of the media members sit in their FREE seats, sipping on a courtesy soda and snacks and sometimes forget what the rest of the country is doing with no paychecks and special treatment. Maybe they all should sit down with the masses one night and get the real stories and typical setbacks that fans throughout the Rays Republic have made in 2011. Some have begun to bring their dinners nightly to the Trop, some have gone from Season Tickets to partial ticket plans, and other have faded away without a clue. Kid’s are going back to school this Monday, and with it I expect a crowd under 12,000 even though 2 of the MLB’s hottest pitchers right now will hit the Rays mound. Rays send the Tall Texan Jeff Niemann to the hill for the “good guys” and the menacing Justin Verlander for the visiting Detroit Tigers. This match up should bring 24,000 easy into the Trop, but new jeans, school supplies and the first day of school might exhibit a lower than expected Rays crowd. 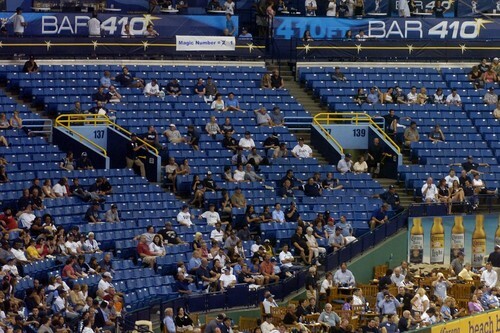 And you can be sure there will be a broadcast comment on the empty seats, especially in Bristol, Conn.
Will this lack of bodies in the seats be due to a lack of support by the Tampa Bay are…No. 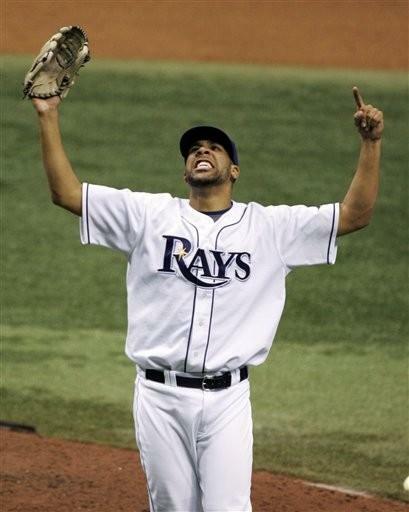 Will the crowds ever again fill the Trop screaming at the top of their lungs, seeking a victory….Yes. The problem is this economic funk that has darkened the skies above Tropicana Field has to drift away, then recovery of the fan base will begin again. I yearn nightly to be in the stands, cheer for the Rays, even talk a little baseball with friends and foes. There is a unity within the Rays stands that sparks of excitement, pride and a hope for change. Problem is, this plight has not even hit it darkest moments yet. There is nothing wrong with the fan support in Tampa Bay, we just need to again collectively feel adamantly that this financial storm is over and we can again truck out to games. In the end, when things get brighter, the crowds will again flock to Gate’s 1 and 4 to see this team play. The Tampa Bay area is a huge tourist based economy, and with visitors staying home or taking regional vacations instead of visiting the “Mouse”, this area will stay below the economic surface and the Rays attendance will suffer. It hurts me to the core to nightly hear other MLB broadcast teams, Fox Sports or ESPN media combos speak down about the Rays fan base and this region. Tampa Bay right now is like a prize fighter hit hard in the gut and reeling on the ropes. There is a do or die mentality in this region, a fight that no one can imagine unless you have lived here. Go ahead National media take your best shot, I guarantee we get back up and land a solid uppercut to your jaw…That would keep you from talking smack. 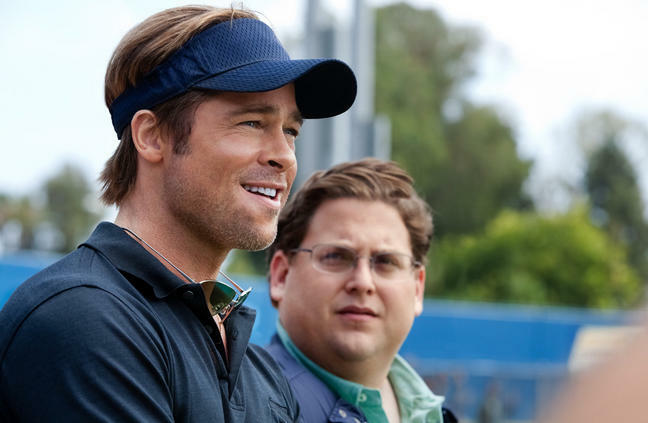 Will “Moneyball” be the Baseball Movie of This Decade? “There are rich teams, there are poor teams then there is 50 feet of crap and then there is us”. How perfect is that sentiment by actor Brad Pitt who is playing baseball genius or folly Billy Beane in the upcoming flick “Moneyball”. I will be honest here, I have not read the book, but now I am sorry I didn’t think it was required reading to be a fan. But now my mind has been altered. Not by the way that Pitt played the brash and combative mastermind behind finding victories through scientific manipulation and statistical dissect. There is another line in the movie where Jonah Hall, who plays : “Your goal shouldn’t be to buy players, your goal should be to buy wins” In order to buy wins you need to buy runs”. Prophetic thinking for that time when the rank and file of baseball scouting never turned an ear or eye to a player’s past statistics as a measure of his future potential. In a time when theories were just that, Beane took a chance on not only his ideals but a young team that was considered on the downside of their success. 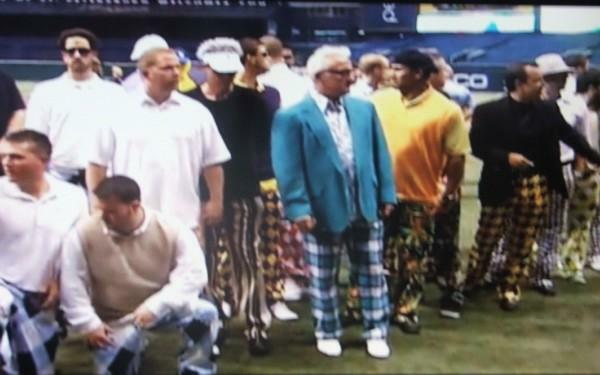 Wild how a few of those players selected by Beane at that time made their way through the halls of Tropicana Field, and not just in the visitor’s clubhouse. 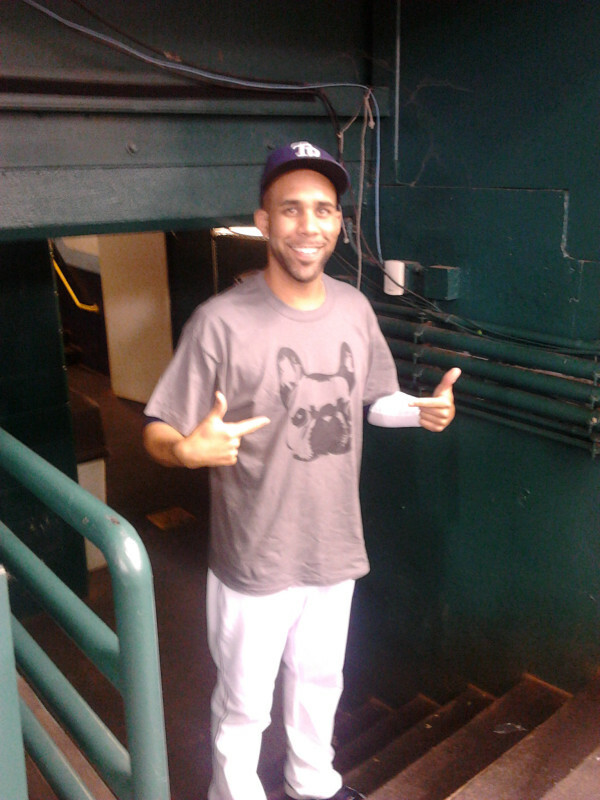 A young First Baseman that once had MLB stardom tattooed on his resume found himself a part of this revolutionary idea. That player was Carlos Pena. After the success Pena showed in Detroit before a fall from the Tigers’ grace, Beane still saw the potential, saw the talent, saw a hitter with a great eye for the ball, and could pop it skyward and beyond the fence with every swing. There was the young country boy who threw from an angle almost unheard of today, but has a crisp and clean bite to his pitches, and provided a unique angle and ball flight that disrupted even the best hitters of the time. Chad Bradford was another Beane disciple who was plucked off the “what if” pile and found himself again throwing darts, and providing victories. Is it because of the evolution of these two players that I want to see “Moneyball?” You could say that, but the honest truth is I want to see how the film shows how this young Oakland team with Beane at the front took on the old school scouting combines and turned them on their heads. I am intrigued by the way Beane stood his ground to the status quo and produced not only a perfect example of his new system, but a viable winner within a highly structured budget. I want to see how the success of this same “run production equals wins “thought process morphed and expanded to be the template that teams like the Tampa Bay Rays, Kansas City Royals and Seattle Mariners have twisted into their own unique blends to compete with the MLB teams that sport high 9 digit payrolls. 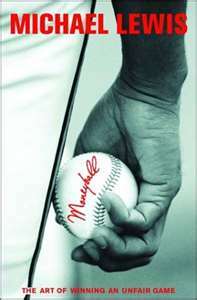 I have heard more than a few people in the past refer to the book “Moneyball” as the inherent “New Testament” of baseball’s revival. That is exploration into things as simple as taking pitches, good eye concentration at the plate, and solid contact with the ball could produce a team that could be competitive with anyone on any given day/night. 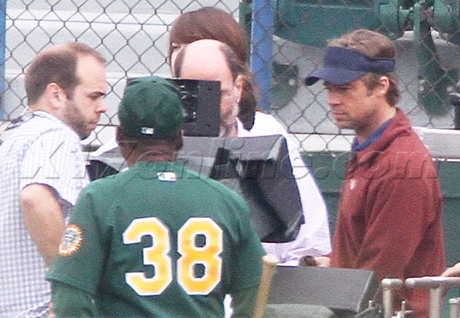 If you believe that is what transpired with “Moneyball”, then I can understand the religious connotation or reference. September 23rd seems a long way from now, but it is only weeks. 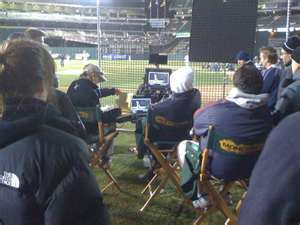 The movie will open officially about the time most of the 2011 post season pairings will begin to material or finalize. 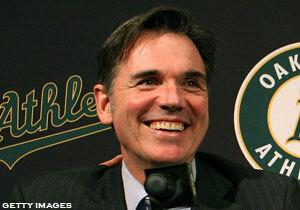 Oakland might not have a logical chance to compete in this seasonal event, but the A’s impact long ago started by Beane will surely have its own crowning moments as a few of the low budget teams who use variations of Beane’s philosophy sweat and try and prove his logic once again works, and can bring success. Still, I wonder to this day just what Beane thinks of Pitt playing him. They do not look alike, with Beane being more of a Pee Wee Herman prototype than the female friendly Mr. Jolie. But that is one of the great things about the film industry, creative license can be used, things can be tweaked, even making Beane look like one of the most desired men in the World. Tick Tock Mayor Foster, Tick Tock! I was reading an editorial today posted in the St. Petersburg Times website about the ongoing stalemate or strong arm maneuvers that have begun to permeate, and not with a great aroma from the St. Petersburg Mayor’s office. I originally voted for Bill Foster as the Mayor of St. Petersburg, Florida because of his background working within the city structure even as the Florida Suncoast Dome was just a blueprint of the baseball future of this region. I really felt he had the heart and the soul figured out of the Tampa Bay Rays and their pursuit of a more feasible and fiscal future abode. In his campaigning I thought I saw a Mayor who would embrace the Rays and each would walk a path towards enlightenment and harmony. Instead I’m now beginning to visualize more ands more daily an increasing sense of that regrettable small town insecurity that St. Petersburg, Florida has always fought with their cousins across the bay…Tampa. Somehow Mayor Foster has embraced this insecurity like someone trying to steal his only child, refusing even a remote thought or a single word enter his ears of a possibility of the Rays moving from their home. For some reason Mayor Foster has been mute and vampant to even discussing the whole situation, and the ?Rays are growing tired of the silent treatment. Some say the city of St. Pete has a lot to lose if the team explores outside its city limits, but in the Nation-wide scheme of things, St. Petersburg is looking selfish, arrogant and showing itself like a unbridled horses backside. This is the politician I elected into office, if he persists, his reign will be short and sweet. There are other who are of the opinion that Mayor Foster is hedging his bets that the Rays finally drive across the city limits and violate his sacred trust. Litigation, bold judicial actions and even a bit of the old Florida back room politics of the past have reared their ugly head. This is not the progression or the tactics I expected from Foster. This is the work of a man with nothing to lose but his entire political career. If he stops the Rays from crossing that imaginary line he will be toasted and held in high esteem by some in this community, but that same group is not the one flocking to Tropicana Field. The corporations in St. Petersburg have kept a low profile knowing a war is on the horizon, and will pick their battle mates after the first volley. I have a sneaking suspicion Mayor Foster will get the full Custer effect when his deep pocket allies finally fall on their own swords. 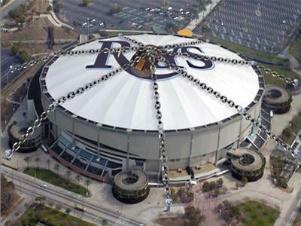 People are forgetting this Rays stadium fiasco is making our region look small time. It is making some within Major League Baseball wince and shutter at the possibility they even discussed a team in this region. It is making Mayor Foster MLB Public Enemy Number 1 without vocalizing it. The city of St. Petersburg’s leverage on the Rays decreases with every tick of the clock, but why would the city bank on the fact the Rays would have to pay a penalty or even forgo some extra monetary damages if they trek across the bay. Don’t you think the Rays have not already got that same ideal prioritized, itemized and realized? You think the team is going to wait until 2027 before hopping in a car and crossing the Howard Franklin? Really? You think the Rays have no done their homework already on any possible Hillsborough sites, and the fiscal collateral damage it could commit with even a public comment? 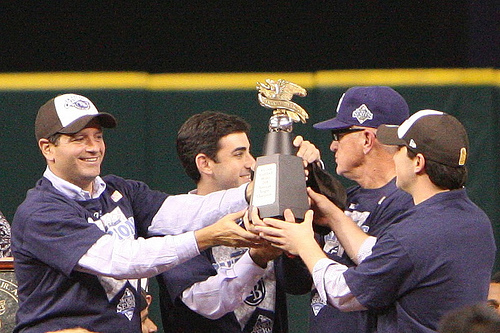 Rays principal owner Stuart Sternberg has been kind. He has not put a line in the sand, a proverbial “this needs to happen” speech out for all to hear, but it’s coming. Even the recent comments by his second in command, Rays President Matt Silverman and his First Sergeant Rays Manager Joe Maddon have not fallen on deaf ears outside the Mayor’s office. The St. Petersburg City Council have heard enough to become worried, have heard enough to become banded and united in trying to stop the bleeding before the Rays amputate St. Petersburg from their stadium site list. The City Council have finally been made aware of the stalemate and chess match Mayor Foster is playing is becoming closer and closer to a “checkmate”. The Rays are putting a great product on the field this season with their limited financial resources. 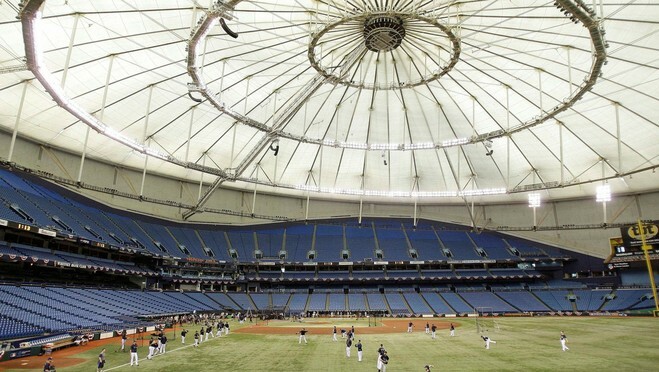 The money pit, known as Tropicana Field, has seen millions of dollars poured into its inner core trying to revitalize a dying stadium. The structure is seeping into the Florida landscape, the building is starting to gasp and wheeze, it is beginning it final stages of sustaining MLB life. 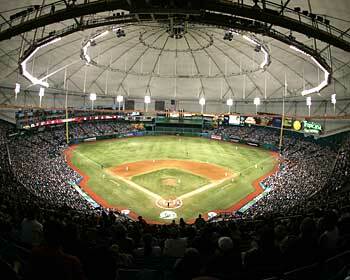 I love Tropicana Field for what it has brought me personally over it lifetime. I enjoy games still sitting under its Teflon roof. I understand the need for more viable control over expenses and a possible freedom to re-invent the baseball stadium as we know it. 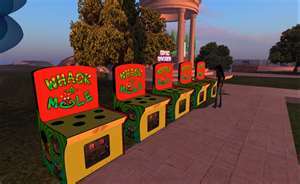 By utilizing the newest technology trapping and possibly including a convention center to keep the money flow constant. Mayor Foster can be commended for his due diligence in not bending or breaking to public opinions or scrutiny in this situation, but it is time to let a little civic pride go and try and work this out like a civilized community. Maybe it is a time for a unified “Kumbaya” moment, a civic awakening that if we falter here, the team is already headed for greener pastures. I remember watching the video in college of the Mayflower moving vans backing up to old Memorial Stadium in Baltimore, packing all the equipment, taking every last memory and ounce of civic pride with them before their trek to a town in the bowels of Indiana. St. Petersburg doesn’t deserve that kind of legacy. 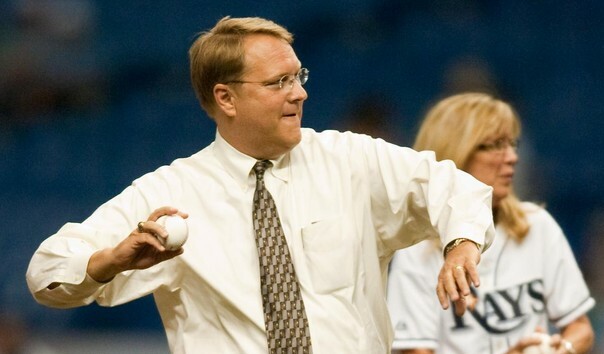 Mayor Foster doesn’t want to be remembered as the man with too much civic pride to even dance with the Rays on this stadium situation before the clock runs out. The St. Petersburg City Council finally awoke from their hibernation concerning this issue, hopefully not too late to stop a journey over the bridge. Tick Tock Mayor Foster, Tick Tock!